Believe it was a 2-car set. Didn't get a good look due to the speed and fact that I was using my phone at the time and wasn't aware the cars were passing until I heard them. Thanks, Kevin. I was just curious if the new set had been seen yet, but it might be too soon to have them out on track 1. Maybe they can stick MTA stickers on them and use them for "Batman Returns for the Fifth Time." Somewhat seriously, I agree. After the impressive looking PowerPoint display, it can't cost too much (compared to the $1.4 million price tag for each car) to mold a different front end or use projector headlights (or, as previously said, Chroma or Spectra signs). I think the CTA is looking for some uniformity of cars so as not to cause a stir about "new cars". Everyone can tell the difference between a Flx bus, Nova, and NF, but no one can tell (outside of us transit fans)the difference between the 2400s and the 2600s (they are alll old), and except for losing some seats and the ribbed stainless steel exterior, the 2600s and 3200s. If the 5000s had distinctive outer physical characteristics then people would lay claim to the fact that certain lines like the Green Line NEVER get new equipment and so son. At least this way, if the CTA desired, it can just "reconfigure" seats on all of the rail cars and add electronic signage, and the average Joe really wouldn't be the wiser. I agree but the average Joe probably doesn't care anyway! For us it would be nice to see some type of change. I love how New York's cars have always changed over the years. I look forward to going there every year just to see what is new. That would be the opposite of the traditional "fool them" technique, which is that CTA repainted old equipment to give the impression it was new (such as red streetcars to green, or, perhaps, stripping the decal stripes from the 2400s and 2600s). While I agree that the average person has no idea about series, you would think that CTA would want to show off that the money spent is actually getting something new. CTA can't display the AC inverters to the public. As to some lines not getting anything new, I'm sure the riders will get that message from such things as the remnants of Stinky Man, mentioned in the CTA Tattler, vs. that "new car smell." I was also going to mention that it would be a shame, but probably consistent with what art said, that this would be confirmed if the cars have the same beige seats with inserts as the existing cars, even though that style went out in buses in the early 1990s. To further make my point about fleet uniformity, lets take a look at Metra. With the exception of a handful of 7800s, all of the diesel line Metra cars are of the ribbed stainless steel variety. The 7000s interior has that ugly maroon tan and blue combo (mostly on BNSF), the 700s and 800s got makeovers and look closely like the 7400s and 8400s, the 8000s are getting similiar makeovers, the 7400s and 8400s are nearly identical, except the 7400s windows are slightly smaller than the 8400s AND the 7400s have reading lights. But at least on every train you have a chance to ride a 7400 or 8400. I also forgot the 6000s which are like the 8400s. Most people that ride the diesel lines only care about either getting their favorite seat or getting in a car that puts them closest to their car when they get off. The ME is quite another story. It is either the old cars (which the interior was changed to look like the other cars) or the 1200 Highliners, no mix or match here. It took forever for Metra to get those 26 Highliner cars for ME then mysteriously they had no more funding for more cars but found money for more diesel locomotives. Hmmm. I wonder why ME riders were miffed the other lines were getting new cars and equip and they weren't. The SS is like the ME, either the low level NS cars or the Highliners, but at least the SS Highliners stand out from the MEs. I wonder if Metra subsidized a few cars for SS if they would interiorly resemble the current SS Highliners or Metra's Highliners (with SSs other specs left intact). Other than the big toilets on the newer cars vs the cubbyhole toilets on the older cars, Metra's diesels pretty much have that uniformity that I think CTA is trying to accomplish, why else would Bombardier's cars (which are legendary in NYC) be made to replicate cars built by other companies? This is the only thing that needs a factual response. The diesel locomotives (400 series) were before or at the same time as the Highliners, all were paid for with Illinois First. On the other hand,I just pointed out that the held up Capital Bill money was for 140 CTA buses and 80 Highliners. Why don't you ask Quinn about that? As far as the rest, a stainless steel can is a stainless steel can.In Metra's case, subject to FRA regulations on strength and window size. Can the LED displays on the 5000's put out multiple messages ? They could go BROWN...Loop, RED...Howard, PURPLE...Howard, etc. The main difference between NY and Chicago color coding is that in NY, colors are used to distinguish trunk routes in Manhattan, while Chicago did so to replace suburban line names. If Chicago followed the NY system, anything entering the Loop "L" would be the same color, and the Brown, Orange, Green, and Pink would instead be called 1, 2,3, & 4. (Nobody ever calls the 7th Avenue IRT the "Red Line"). But then looking at a map would give little hint except for line numbers as to which train did what after encircling (or not) the Loop. NY has also abolished front marker lights with the retirement of the Redbirds in 2003. About 30 years ago CTA was moving that way von some maps. For example, today's Blue Line trains were designated on maps as "CM" and "DM", etc. I don't know which system is better. The main difference between NY and Chicago color coding is that in NY, colors are used to distinguish trunk routes in Manhattan, while Chicago did so to replace suburban line names. If Chicago followed the NY system, anything entering the Loop "L" would be the same color, and the Brown, Orange, Green, and Pink would instead be called 1, 2,3, & 4. It did not replace "suburban" line names, but replaced names based on the old CRT system, which was based either on terminals (Howard, Englewood, Jackson Park), parks (Douglas; old Garfield and Humboldt), or streets (Milwaukee, Lake, Dan Ryan) along which they would have run. The DM was the Douglas-Milwaukee through route. While the subways are now either the Red Line (State) or Blue Line (Dearborn), just about everything else would be one color (under the NY system as you explain it), because all (except the Skokie Swift) use the L. There would be no way to differentiate the trains (in a practical sense) if you were standing on a Loop L platform. The colors were justified because at least someone who could only read Korean or Chinese (and no comprende Kimball) might be able to figure out what a brown sign was; similarly, a person who mostly speaks Spanish could figure out what advertisements for Linea Cafe and Linea Azul mean (and those advertisements at least were on L cards). New York might be different in that there are essentially parallel Park, 7th, and 8th Ave subways. Maybe New Yorkers can figure their system out, but I can't. Finally, everyone's basic point is that the mylar curtains let everyone differentiate which train is next coming on the Loop L by the color. Going to an amber sign is a step backwards in that regard. Maybe the CTA will finally figure that out. Going to an amber sign is a step backwards in that regard. Maybe the CTA will finally figure that out. Ever think that part of it is for the same silly reason we no longer have curtains with better information on the buses (never had to worry if they worked or not either)???? And you needed a sheet of paper with the route number handwritten on it displayed in the lower right hand windhshield. 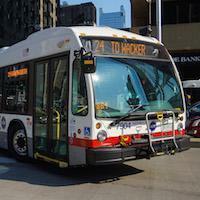 Now all CTA buses have all routes programmed into it. If you are going to have color coded routes, then it makes sense that the signs should be colorcoded (whether mylar or digital). You can't depend on the announcements anymore (I was once on a Green Line train with the signs all saying Ashland/63 and the announcements all saying 63rd/Cottage Grove. Actually this happened more than once). I guess we must teach everyone the marker light system. Was it a 4-car consist - or a 2-car set? 5007 and 5008 were delivered last week. I hadn't heard if 5007-08 had made it past the Skokie test track yet. There was a #5000 parked on the east track at Skokie Shops on Sunday. It didn't seem to be #5011-12. It looked like it was delivered not to long ago. It had no metal plows on it yet, like ordinary CTA equipment or #5011 for that matter. Weird that it was parked outside. So far they seem to be mostly keeping those indoors. BTW, when did CTA start putting these metal plows on the railcars? In older transit videos and pictures they are not present and in the 1980's and up they are. I've always thought those were installed after the big snowstorms in the late 1970's. Is that true? 5008-5007-5012-5011 made their way around the system today, visiting Orange, Green South, and Brown lines. If things go according to plan, tomorrow they will do Green west, Pink and Blue. In offical revenue service, or just rolling by the stations "Not In Service" as sort of a tease to us as to where they may be ending up? The cars will not be in revenue service. While they may stop at stations, the doors will open opposite the platform. The cars will leave Skokie Shops sometime after 0900 hours and return by 1500 hours, visiting lines in the order rmadisonwi mentioned. Can't wait to "try" one of these out on the yellow line, if they ever let them run a test. BTW, i saw these run over the loop today, they emit an interesting hum when accelerating, not similar to anything in service right now. I saw the foursome on the Congress branch of the Blue Line today headed west near Kostner. No, it was not in service, but did have the metal training sign hanging from the front end door. Couldn't read what was on the luminated sign, went by too fast. There's a photo on flickr which shows the destination sign and a peek of the interior. Of course not. It has to match the exterior that wasn't designed in the current century. New Meaniing for RTA. Retro Transit Authority. It looks like they have moved the wheelchair location on these cars. There is a big gap behind the guy standing in the doorway. It almost looks a "max car" from the brown line. With the handicapped symbol on the wall though it just looks like a big handicapped area, but it's weird not to have any seats by the doors. Looks like they took out 5 seats instead of two the old way. I can't be sure, but it looks like the wheelchair seat is not longitudinal.